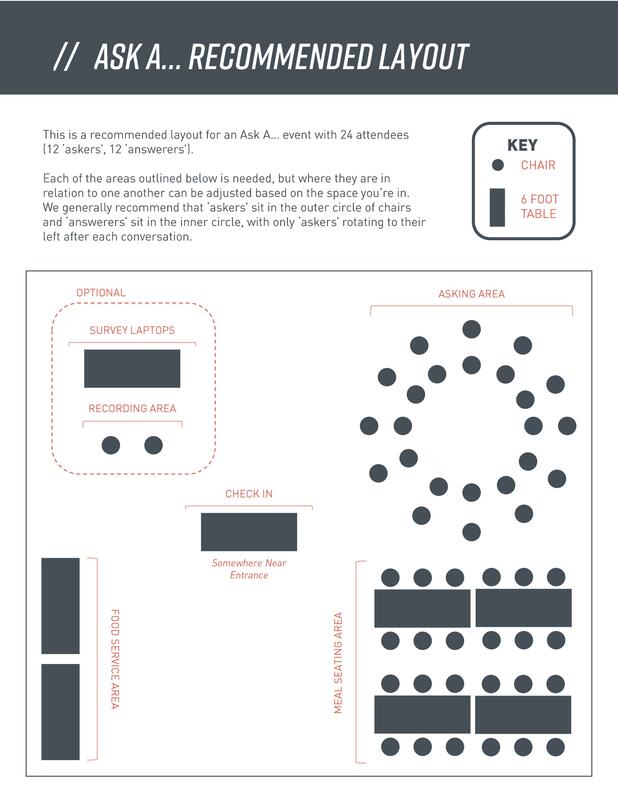 The following sheet shows a suggested seating chart for hosting an ‘Ask A…’ event. It’s designed for 24 attendees (12 “askers” and 12 “answerers”). We recommend 8 askers and 8 answerers. Each of the areas outlined below is needed, but where they are in relation to one another can be adjusted based on the space you’re in. We generally recommend that askers sit in the outer circle of chairs and answerers sit in the inner circle, with only the askers rotating to their left after each conversation.